Back in print! Of all of my books, this is one of my favorites. Yeah, I know. I say that about each of them because they're all like my children, but I really do love this book. It was so much fun to write. It's a true suspense novel. Elizabeth Larocca is in the fight of her life trying to figure out the secret life that her husband Stephen led before it's too late for both her and her daughter Cara. This one's not funny, folks, but it's a fun ride with some great twists and turns. Come join Elizabeth for an adventure. Can ghosts fall in love? You bet they can! 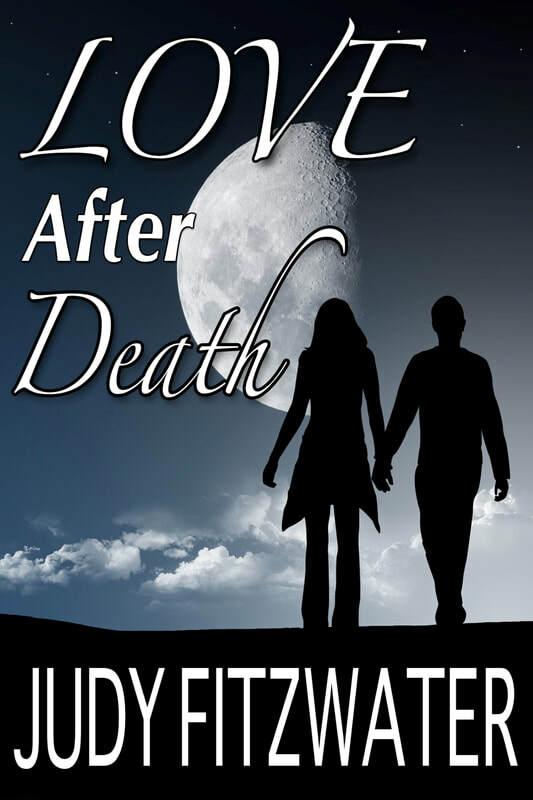 My newest book, LOVE AFTER DEATH. It's a fun romance. She never found love in life…Is it possible she’ll find love after death? Something unexpected happens to Cindy Thomas during a mystery weekend at the Ferris Mansion. One second she’s enjoying a performance with astonishing special effects. The next, she’s dead, surrounded by a troupe of long dead actors who aren’t special effects at all. Harvey, her dream guy, is no longer a dream. He’s real—a real ghost. Suddenly, this new existence is complicated and scary and amazing, leaving her wondering if she’s made the worst mistake of her life, her death, or whatever you want to call it. Cindy will have to decide…should she step through the gateway to Heaven, or is Heaven actually here on earth, in this handsome ghost’s arms? Those of you who've read DYING AT HONEYMOON INN recognize the name Cindy Thomas. 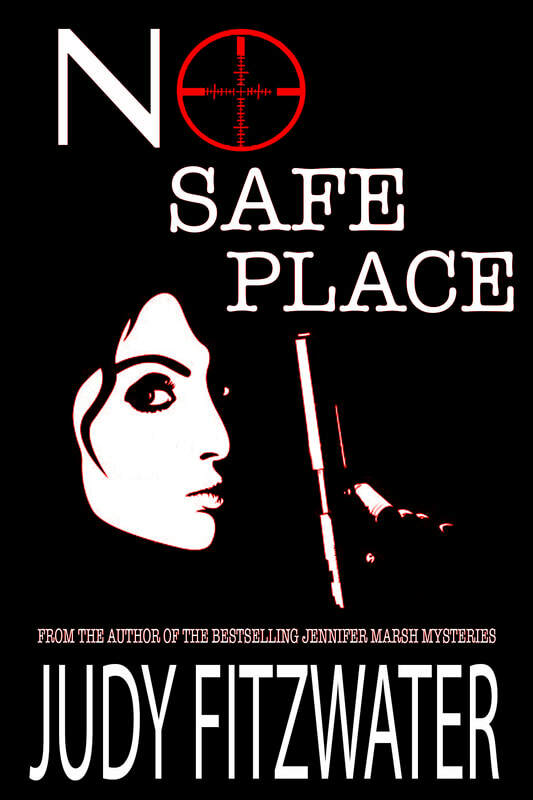 She's the young woman whose murder Jennifer Marsh solves. And those of you who've read VACATIONING WITH THE DEAD will recognize the Ferris Mansion, which is populated by the ghosts of thespians who died in the 1920s. Introducing Cindy's spirits to the ghosts at the mansion was both fun and challenging. I loved writing this book and helping Harvey find true love in the afterlife with Cindy. I hope you'll enjoy their love story. 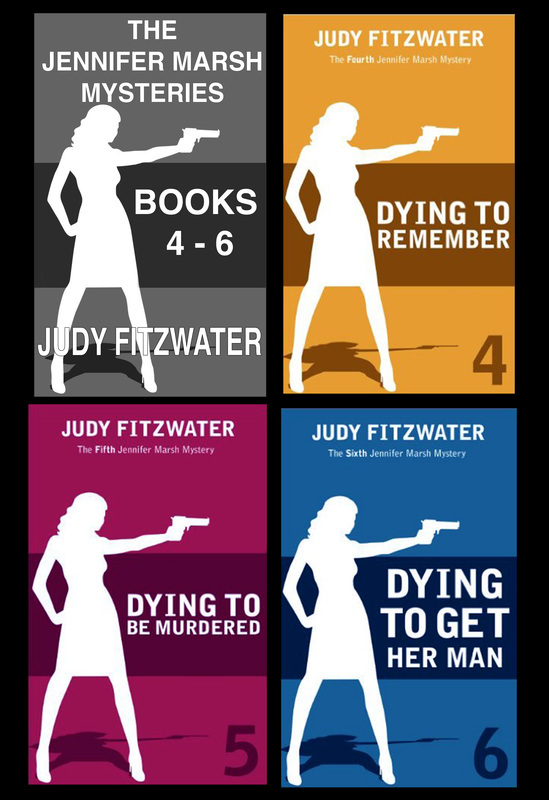 The Jennifer Marsh Mysteries Box set of ebooks 4-6. $9.99. Great savings over the individual prices. 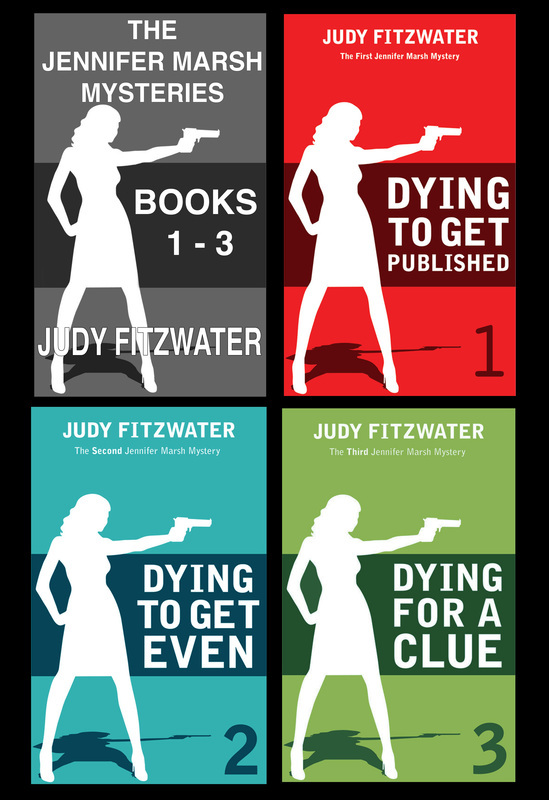 Only $6.98 for the box set of the first 3 ebooks! Both DYING BEFORE "I DO" and DYING AT HONEYMOON INN are in paperback editions at Amazon. Jennifer and Sam are going on their honeymoon! Sounds wonderful, except that Jennifer has no idea where Sam is taking her. It's the middle of winter, so it has to be someplace warm with plenty of sand and sun, right? Imagine her surprise when she finds herself in the middle of a snowstorm in Pennsylvania in what's advertised as a "haunted" mansion for a murder mystery weekend. She's intrigued, especially by the amazing special effects created by the inn's owner, Rex Ferris. But things seldom go smoothly for Jennifer, and when a fellow diner face plants into her coconut cream pie and dies from a seizure, Jennifer suspects murder. After all, the victim is on a girls' weekend with her frenemies from college. Who could possibly want her dead, except every one of them? And who else might be on Jennifer's suspect list? The only thing certain is the killer is still nearby, trapped by three-feet of snow and dangerous travel conditions. Fans will be happy to see Mrs. Walker crash Jennifer's honeymoon to take over the murder investigation, so Jen and Sam can get back to their romantic activities. Fun and romance vie with an intriguing mystery that will keep the reader guessing to the very end. 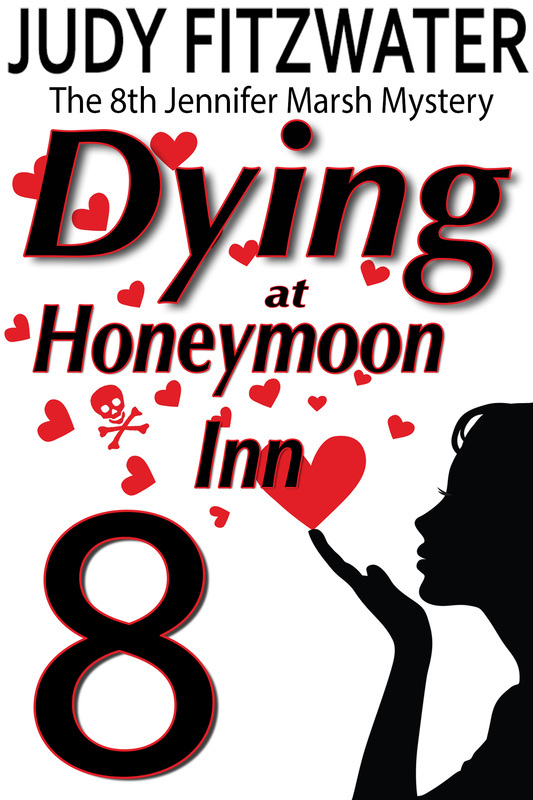 Dying at Honeymoon Inn is the eighth in the delightful Jennifer Marsh Mystery Series.